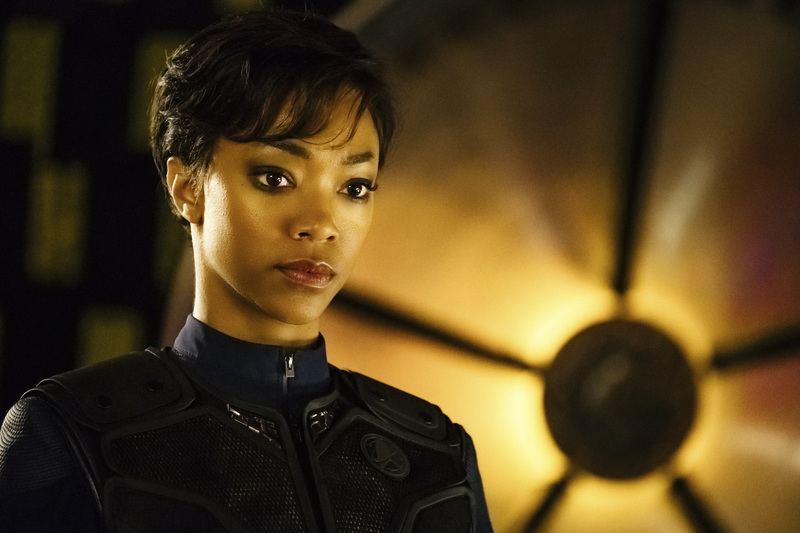 Sonequa Martin-Green as First Officer Michael Burnham. 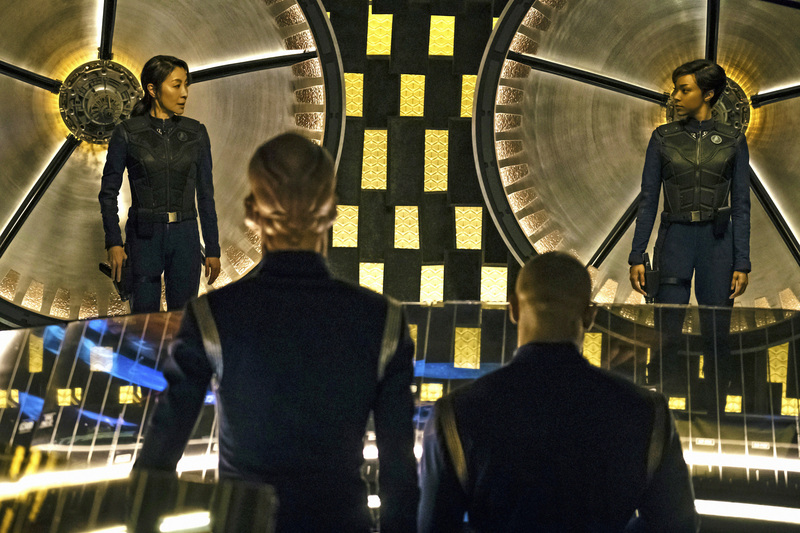 STAR TREK: DISCOVERY. ©CBS Interactive. CR: James Dimmock. 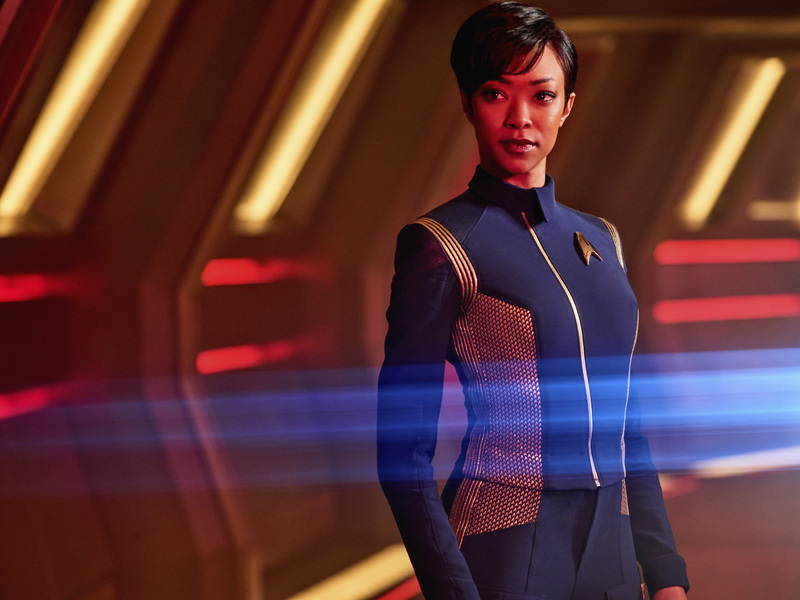 Sonequa Martin-Green as First Officer Michael Burnham. STAR TREK: DISCOVERY. ©CBS Interactive. CR: Jan Thijs. 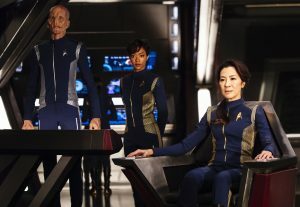 (l-r): Doug Jones as Lieutenant Saru; Sonequa Martin-Green as First Officer Michael Burnham; Michelle Yeoh as Captain Philippa Georgiou. 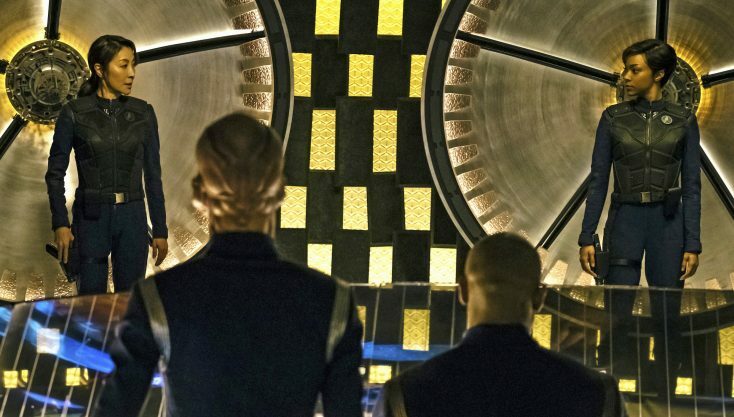 STAR TREK: DISCOVERY. ©CBS Interactive. CR: Jan Thijs. 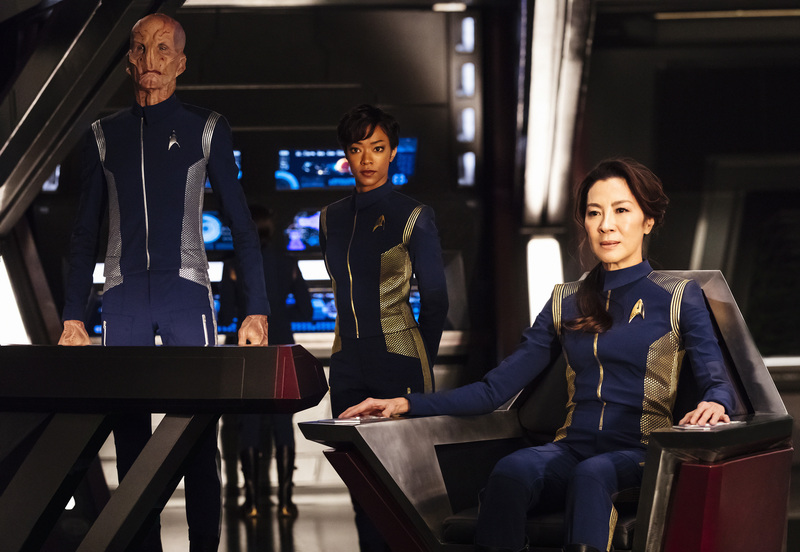 (l-r): Michelle Yeoh as Captain Philippa Georgiou; Sonequa Martin-Green as First Officer Michael Burnham. STAR TREK: DISCOVERY. ©CBS Interactive. Cr: Jan Thijs.